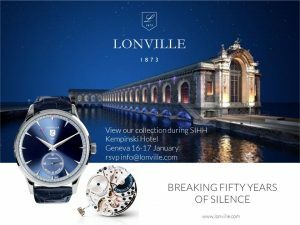 Lonville at Kempinski Geneve 16-17 January during SIHH - What is happening in the world of Lonville? Lonville will display the collection at the Kempinski Hotel in Geneve on 16 and 17 January, during the week of SIHH. We look forward to meeting you and explaining the why and how of our time pieces.